Last night, SpaceX sent a Falcon 9 rocket into orbit from California’s Vandenberg Air Force Base just north of Santa Barbara. 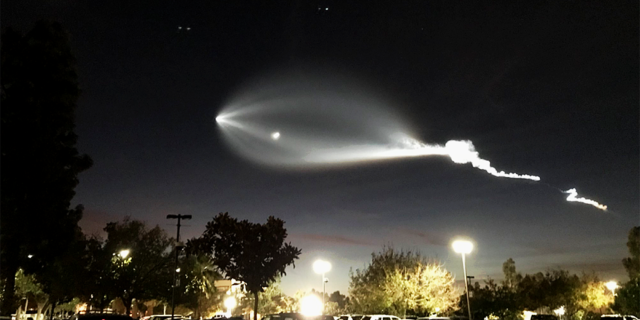 Against the setting sun, the gas from the rocket lit up the cloudless sky, leaving an incredible plume of white light behind it as it soared through the looming darkness. Not everyone was enamored by the sight in nearby Los Angeles, which came just days after a thorough exposé in the New York Times revealed long-classified details about the Pentagon’s UFO research. Some of our favorite musicians took to social media express excitement (and fear) about the bizarre encounter, which seems almost criminal after such a big UFO reveal just days earlier. Here are a few of our favorite reactions. Trump’s totally gonna shut down SpaceX.